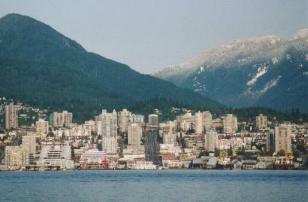 Well, it is nice to see North Vancouver pave the way for the rest of Canada in terms of sustainability. The 16th storey Silva Building on the 100th block of West 16th off Lonsdale has received its LEED certification, almost a year after its construction. This is Canada’s first LEED certified residential building, but will be far from the last. At only 1.7% more costly than a standard building, the $20 million Silva Building had no trouble selling its 67 rooms to residents. Besides the comfort afforded by the environmental integrity of the design, sustainability measures involved in the water and electricity usage also mean a savings of $16,500 per year. The building uses 60% less water and 14% less electricity. This is a sign of things to come for building developers as demand for sustainable accommodations continues to rise. Being situated in North Vancouver, Creative Wonders is nestled nicely on the edge of the water, squarely between Vancouver and the gateway to the 2010 Olympics in Whistler. Here we are well positioned to witness firsthand North Vancouver’s pledge to make it as sustainable a city as possible. This is where the job of advertisers and media come into play. How many people are aware what LEED even stands for? What are the benefits of sustainable building practices? How does conserving resources affect the bigger picture, beyond the community to the planet as a whole? It is advertising, along with journalism and public relations on which the responsibility of educating the public resides.